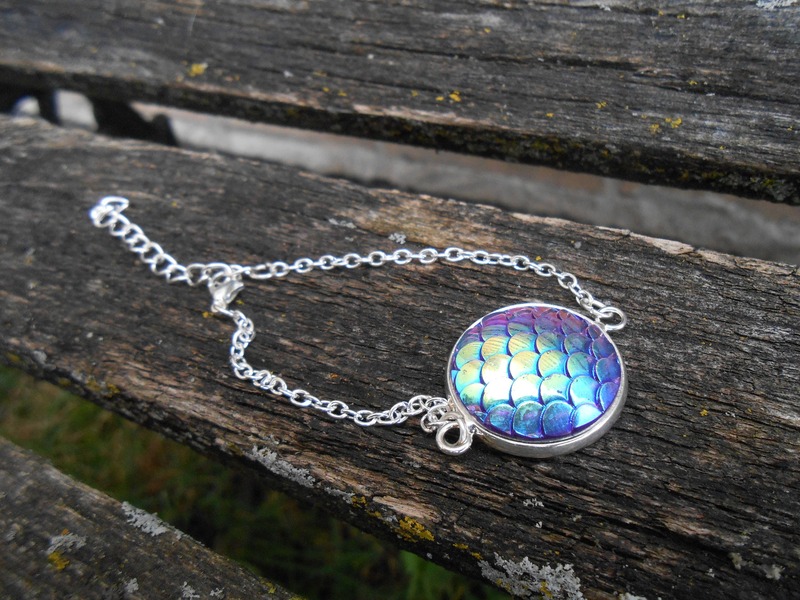 Mermaid Bracelet. Unique Gift For Girls, Mom, Bridesmaid, Flower Girl, Birthday, Favors. 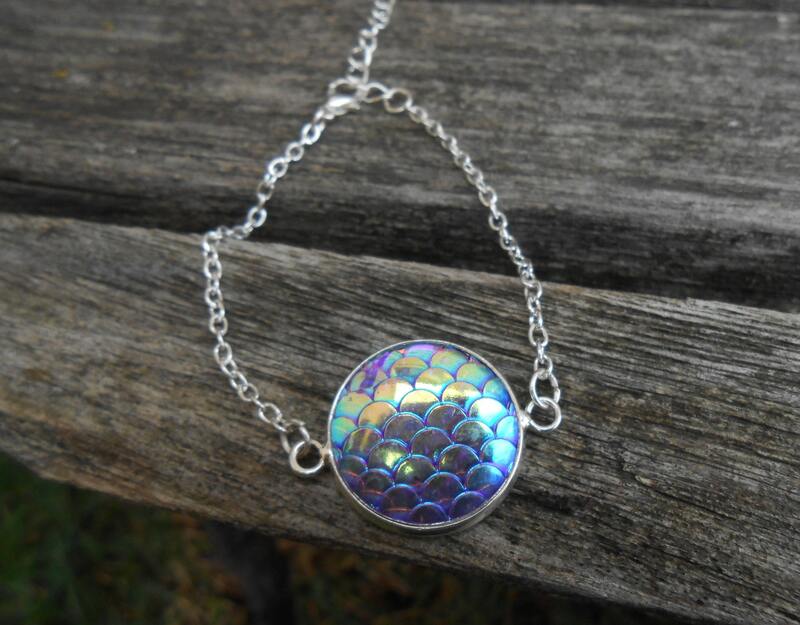 This unique bracelet would make the perfect gift for the mermaid lover! 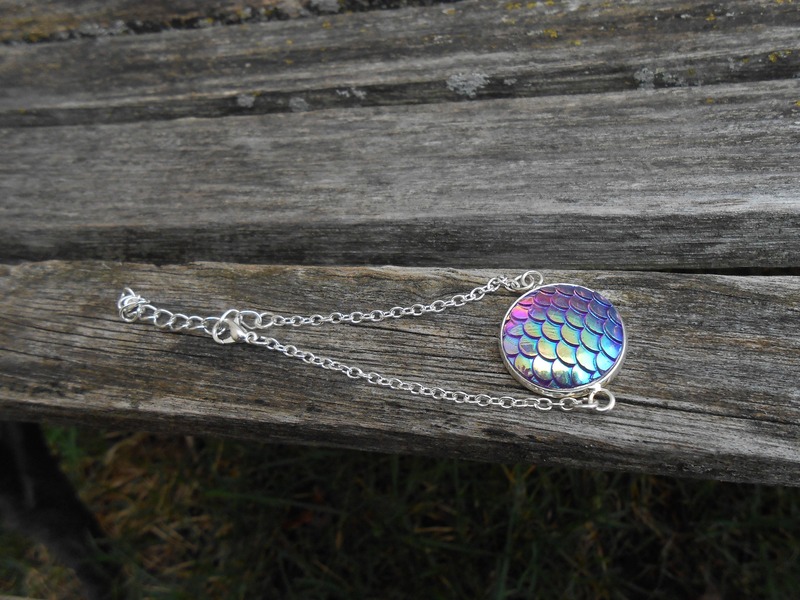 It is a silver color and is totally adjustable. It will fit small to large wrists. These make a perfect gift for flower girls, bridesmaids, birthday favors, and more. 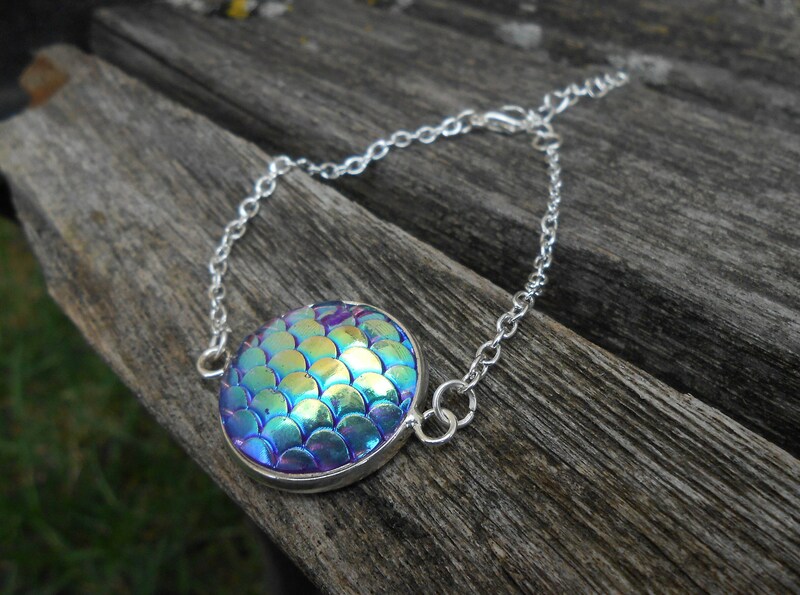 The round part measures 20mm and the mermaid scales are blue and purple shimmer. If you want a bulk order, please send me a message and I will make you a custom listing with bulk pricing. 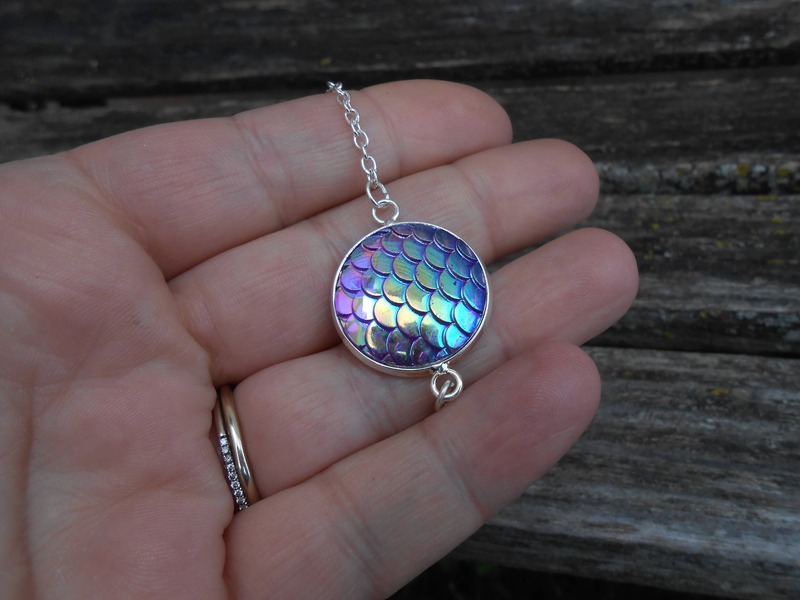 If you would like a custom order. Please contact me.